Michele became our Rector in June 2013. Prior to ordination in 2009 she was a project manager and chartered quantity surveyor. She is chair of the Diocesan Committee for Minority Ethnic Anglican Concerns. She enjoys walking, gardening and sharing meals with friends. She is married to Bob and they have two children and two grandchildren. Philip is a Licensed Reader in the Benefice, a governor at the local school and enjoys being involved in village life. He is a civilian worker for Hertfordshire Constabulary, looking after Neighbourhood Watch. Angela has lived in the village of Sarratt for 18 years. She was Licensed as a Reader to The Benefice on the 24th of September 2005 after training for 3 years at St Albans Cathedral. She is married with two children and they have a menagerie of animals. Horses play a big part in her daily life. Nikki has been involved with the church since a young person, becoming a church warden in 2016. She lives locally running her own care business and is happy to help the community in anyway she can. Nikki also has organised in the past Murder Mystery fundraising evenings to help raise funds for the church. A member of the local community in Chipperfield for 20 years, Ian works in London full time. Ian has supported many youth projects and assists at St. Paul's School regularly. Alison is married with three grown up children. She lived in Chipperfield for five years before moving to Chesham. During that time she ran the Children's Sunday school and helped with the Summer activities and was a member of the PCC. Last year Alison became church warden alongside Ian Chantrell. Alison is full time deputy head at Chesham Prep. Jeannie is married to Alan and they have been at Holy Cross since moving to Sarratt 15 years ago. They have 10 grandchildren. Jeannie loves spending time with them, especially swimming. She and Alan also enjoy walking in the beautiful local countryside. Jeannie is on the Open House team and hosts a home group each Tuesday. She also meets with two friends for fellowship, Bible study and prayer each week and enjoys inviting neighbours and friends for a cup of tea or lunch whenever she can. Colin has lived in Sarratt for 65 years and was a building contractor before retiring. He is actively involved with University of the Third Age, Children Probus, Sarratt Village Hall and the church. He enjoys eating out and socialising. Fay is married to Mick and they have lived in Chipperfield for 40 years, they have 3 grown up children and 9 grandchildren who all live locally. Fay has always worked in accounts and took over the role of Treasurer in 2017. She enjoys spending time with her friends and family. Lucy has lived with her family in Chipperfield since 1999. She has been a teacher for many years and is currently involved in science education research. She enjoys playing tennis at Chipperfield Tennis Club and has recently taken up rowing. 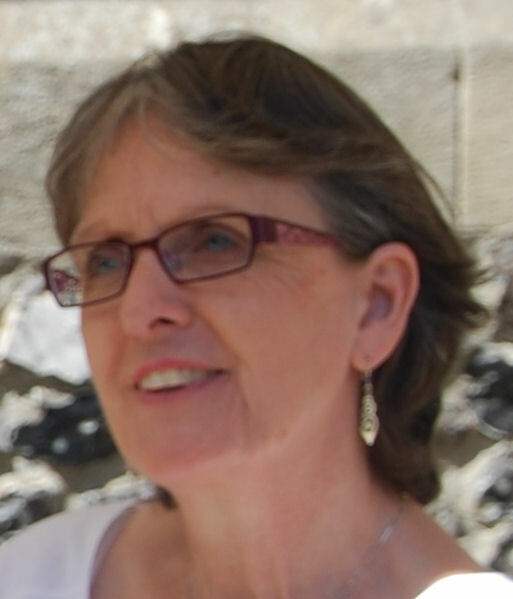 Sonya has lived in Chipperfield with her husband and two children since 2011 and joined the church, as PA to Rector, in May 2018 on a part time basis.. She enjoys gardening, socialising with friends and quality time with her family. She also enjoys sunny holidays! She has over 10 years experience working within a PA role.